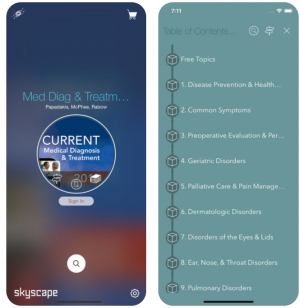 This free version of the Current Medical Diagnosis and Treatment app represents a mere 10% of the content available for an in-app purchase. Created by physicians at the University of California, San Francisco, this app offers well-researched content on myriad topics related to primary care for providers and medical students. Medication dosing, disease prevention, and evidence-based medicine for hundreds of diagnoses are present in this comprehensive app. 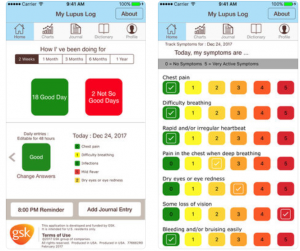 My Lupus Log was created by GlaxoSmithKline for patients with lupus to track symptoms from their phones. Patients can input symptoms and how they feel each day to be able to accurately report back to their provider at each visit. Additionally, there is a lupus dictionary to help patients describe symptoms to loved ones. The Prego Wheel was created by a family physician for other providers. It allows users to easily and accurately determine estimated date of delivery and gestational age based on the patient’s last menstrual period. 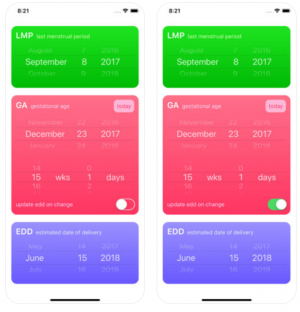 The app also allows the user to determine both the gestational age on a future date and the date of a future gestational age.